Cranston- William H. McGrath, Funeral Director, died February 24, 2015, three days before his 79th birthday, at Rhode Island Hospital surrounded by his loving family. He was the beloved husband of Carol A. (McKenna) McGrath since 1959. Bill was born in Providence, the son of the late William H. and Ann (Skeffington) McGrath, and has resided in Cranston since 1959. Besides his wife of 55 years, he is survived by two devoted daughters, Michaela A. Hood and her husband David of Plymouth, MA and Karen M. Sheil and her husband James of Providence; three cherished grandchildren, Chaela Kennedy Hood, Annie McGrath Sheil and John "Jack" McKenna Sheil; an adored sister, Ann "Nancy" (McGrath) Cotter of Greenville, and several nieces and nephews. Bill attended Blessed Sacrament School graduating in 1951 and LaSalle Academy Class of 1954. He received his degree from the New England Institute of Anatomy and Applied Sciences and Embalming in 1957. Bill officially began his career in funeral service in 1954, working for his late grandfather, James F. Skeffington, but was indoctrinated to the funeral business as a young boy, helping his grandfather by running errands and washing cars for the funeral home. In January 1964, Bill was welcomed by and became an associate of the Russell J. Boyle and Son Funeral Home where he has served and comforted countless families for the past 51 years. Bill was, and his family is, forever grateful to Tom and Tender Boyle and the late Russell and Rita Boyle, for their love and kindness throughout the years. Bill's career in funeral service included active participation in the Rhode Island Funeral Directors Association as he held several offices beginning in 1975, and was elected President from 1981 to 1982. Bill was then elected to be the New England District I Governor for the National Funeral Directors Association, serving as the spokesperson for over 1,000 members of the New England states from 1985-1988. He also belonged to the prestigious Heritage Club of the National Funeral Directors Association. Bill also served as the Inspector of Funeral Homes and Crematories for the State of Rhode Island from 2003 to 2014. Bill proudly served as a member of the Board of Trustees at Guest House, a treatment center for priests, deacons and religious sisters, with facilities in Lake Orion, MI and Rochester, MN, for seven years. He was a member of the Sons of the Irish Kings and a life member of the Cranston Council Knights of Columbus. 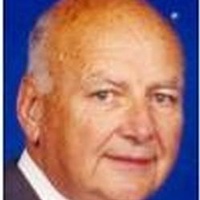 Bill was an active parishioner of Blessed Sacrament Church, currently serving as a Trustee of the church, Eucharistic Minister and a member of the Blessed Sacrament School Board. Given his lifelong career in funeral service, Bill considered each day a gift, lived life to the fullest and had no regrets. He will be sorely missed by his family and friends, but he would want us to live life cherishing each day as he did. His funeral will be held on Wednesday, March 4, 2015, at 8:15 am, from the Russell J. Boyle and Son Funeral Home, 331 Smith Street, Providence. A Mass of Christian Burial will be celebrated at 10:00 am, in Blessed Sacrament Church, 179 Academy Avenue, Providence, RI. Burial will be in St. Francis Cemetery, Pawtucket. Visiting hours will be held Tuesday, March 3, 2015, from 3:00 to 8:00 pm. Donations to either the Blessed Sacrament Church Endowment Fund or the Blessed Sacrament School Endowment Fund in his memory would be greatly appreciated.